Perhaps the greatest allure of Akan-Mashu National Park is the cherished landscape characterized by its three caldera lakes—Akan, Kussharo, and Mashu; volcanoes, and the beauty of its primitive, primarily subarctic coniferous forests. Here, you can see many truly stunning natural sights. At Lake Akan and Onneto, Mt. O-akan and Mt. Me-akan serenely rise in the background. 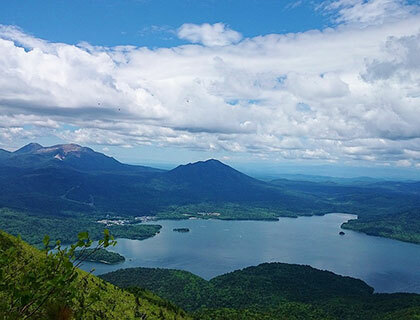 The pristine Lake Mashu is famous as one of the world's clearest lakes and a beautiful view of Lake Kussharo awaits from the surrounding mountains. Kaminoko Pond is steeped in a mystic aura and the ever-changing forest scenery throughout the seasons never ceases to impress. 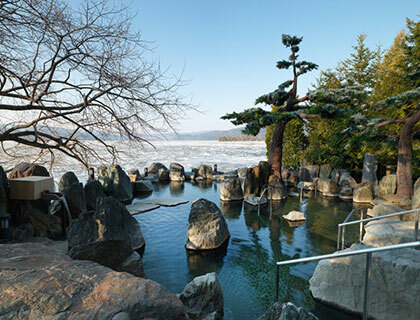 Many simple thermal and sulfur springs bubble up in Akanko Onsen on the banks of Lake Akan, well-known as a Marimo (Lake Balls) habitat. Relax by soaking in Rotenburo (outdoor bath) with a lake view. Kawayu Onsen is named after the sulfur and alum springs that flow forth and combine to form a hot spring river. Here, you will find several inns with natural baths filled directly from the hot spring source and you can also soak your feet at the footbath. Furthermore, in the Sunayu area of Lake Kussharo, you can build your own bath by simply digging a hole in the sandy beach—the hot spring water will rise up from the sand! On the warm Wakoto Peninsula heated by geothermal heat, visit Oyakotsu Jigoku (Oyakotsu Hell) and listen to the song of the crickets (Dianemobius nigrofasciatus) year-round. Across Hokkaido, there are numerous communities of the Ainu, the indigenous people of Japan, one of which is located in Akan-Mashu National Park. The Ainu Kotan (Ainu village) is located on the west side of Akanko Onsen Town. Comprised of approximately 30 households, it is the largest Ainu community in Hokkaido. 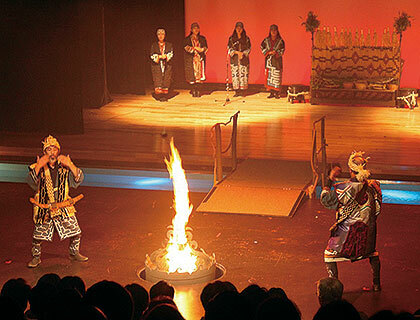 In the village, you can visit Ainu folk craft shops and watch traditional Ainu dance performances, a National Important Intangible Cultural Heritage, in the Lake Akan Ainu Theater Ikor. Through traditional handicraft exhibits and cultural videos at the Ainu Folklore Museum on the shore of Lake Kussharo, you can encounter Ainu history and learn about the Ainu belief that all things, nature and living things included, are considered sacred beings.